Leading online travel site Wotif has revealed the winners of the 2019 Wotif Aussie Town of the Year awards, recognising ten deserving locations across the country that have made a unique contribution to Australian tourism. Looking beyond traditional domestic hotspots and backed by Wotif’s 18-year Australian heritage, the awards aim to support local communities by encouraging Aussies to discover more of their own backyard. 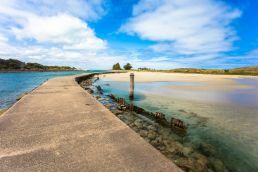 After Queensland’s Mackay took home the trophy as last year’s inaugural winner, the Victorian town of Port Fairy has stolen the sunshine from the Sunshine State, crowned this year’s number one destination for Aussie travellers. 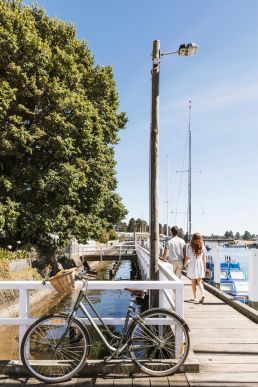 Once named the world’s most livable small community, this historic and picturesque fishing village delivers old world charm with a modern twist; known for its buzzing local art scene, food, wine and a year-round calendar of festivals and events. 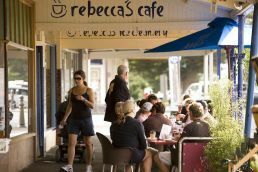 Located on the doorstep of the famed Great Ocean Road, the coastline boasts outdoor family fun and some of Victoria’s best local produce. 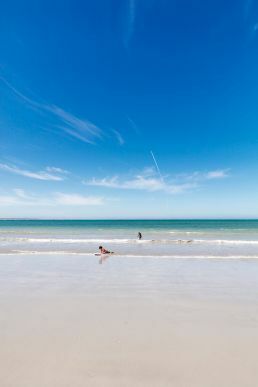 There’s no better place to soak up the rich history and natural beauty that Australia offers than in Victoria’s Port Fairy! 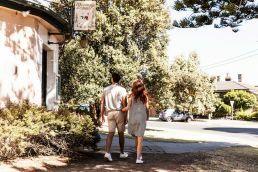 With Wotif data revealing Port Fairy was one of 2018’s fastest-growing and best-value holiday spots – with year-on-year demand up close to 45% and a predicted average accommodation rate on Wotif at $228 per night – you’d be crazy to miss the opportunity to visit. 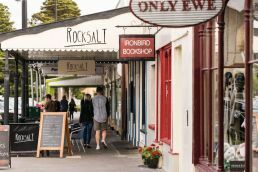 Mayor of Moyne Shire Council, Mick Wolfe said, “We are absolutely thrilled that Port Fairy has received this accolade and that the nation recognises the huge appeal of our town. Although that said, the secret may already be out – one walk around the town right now and you’ll see that it is a place that is adored by tourists and residents alike. 1. 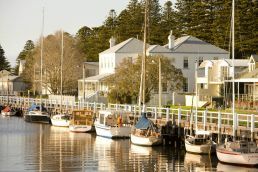 Port Fairy (VIC): Delivering old world charm with a modern twist, Port Fairy sits on the doorstep of the famed Great Ocean Road, boasting a rich history with the chance to spot native whales, seals and dolphins. 2. Albany (WA): As close as you’ll get to a historic European city in WA, Albany is the Western state’s oldest European settlement with a rich history and fantastic family appeal. 3. Port Augusta (SA): The heart and crossroads of Australia, and the gateway to the Flinders Ranges, Port Augusta is located on the peaceful waterways of the Spencer Gulf, famed for breathtaking sunsets that are worth the trip alone. 4. Bendigo (VIC): Get your cultural fix by visiting one of Australia’s biggest regional arts and culture hubs. 5. Forster (NSW): Arguably one of the best whale watching destinations in Australia, Forster stands as an Aussie underdog and best kept secret when it comes to untouched beaches. 6. Cowra (NSW): Experience a little slice of Japan on your very own doorstep. Watch the sea of cherry blossoms flower in Spring all without boarding a plane. 7. Palm Cove (QLD): A tropical paradise nestled between Cairns and Port Douglas, breezy Palm Cove offers the ultimate beachside escape. 8. 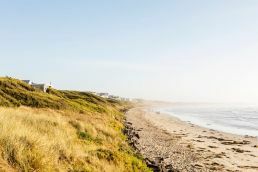 Scamander (TAS): A classic Tassie holiday shack village, with wide sandy beaches, riverside retreats, nature reserves and fishing hot spots. We’ll say no more. 9. Dubbo (NSW): Well-known for Taronga Western Plains Zoo and some of Australia’s best regional hospitality going ‘round. 10.Warwick (QLD): This isn’t Warwick’s first rodeo. Famously known as the ‘Rose and Rodeo City’, Warwick is the proud home of Australia’s best rodeo riders, and so much more. Yee-ha! To celebrate the diversity that Australian tourism has to offer, Wotif has also announced the opening of Wotif’s Uniquely Aussie Awards – the people’s choice to uncover the hotspots and travel experiences unique to Australia. The nationwide search will see Aussies nominate the name and location of their favourite destination, experience or local business across six iconic categories. Whether you’re a sausage roll connoisseur or in search of the Australia’s top swimming spot, Wotif is on the hunt to uncover some of Australia’s best kept local secrets – and those that typify the Aussie road trip. 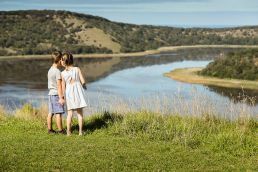 The most popular nominations will be crowned in the Uniquely Aussie Awards on 20 February 2019, inspiring travellers to explore those towns and businesses that offer best-in-class experiences. Best Main Street: Put Sydney’s Pitt St to shame with a main strip where bakeries, hardware stores and antique realness reign supreme. Best Swimming Spot: Tell us where we should be chasing waterfalls – and other spectacular swimming spots. Best Sausage Roll: The true culinary icon of Australia – but where is Australia’s best sauso roll? Best Roadside Pit Stop: The highlight of your 10-hour journey… including the drop toilet overlooking stunning mountain ranges or a much-needed cinnamon donut stop. 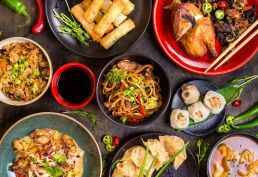 Best Regional Chinese Restaurant: Every regional town has one, but where is Australia’s most succulent Chinese meal? Finch said, “After the enthusiasm and support we received in gifting Chinchilla Australia’s ‘Next Big Thing’, we’re once again throwing it to the nation to find the most uniquely Aussie experiences. An Aussie road trip is made up of more than just the end destination, so we’re on the hunt to uncover some of Australia’s best kept local secrets.